The National Bank of Ukraine (NBU) on March 22, 2016 under a proposal of the Individuals' Deposit Guarantee Fund decided to remove the banking license of public joint-stock company Ukrinbank and liquidate the bank, the NBU regulator has said on its website. The NBU said that Ukrinbank on October 1, 2015 was placed on the list of troubled banks. The bank violated an instantaneous liquidity requirement in September 2015. The bank submitted a financial readjustment plan. The plan envisaged the attraction of UAH 500 million in equivalent from an investor and restoration of liquidity. The bank did not receive the investor's funds. Iryna Bila has been appointed a liquidator of the bank. Kyiv's district administrative court on March 16, 2016 declared void and dismissed NBU resolution No. 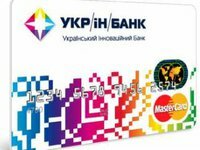 934 dated December 24, 2015 on placing public joint-stock company Ukrinbank to the list of insolvent banks.